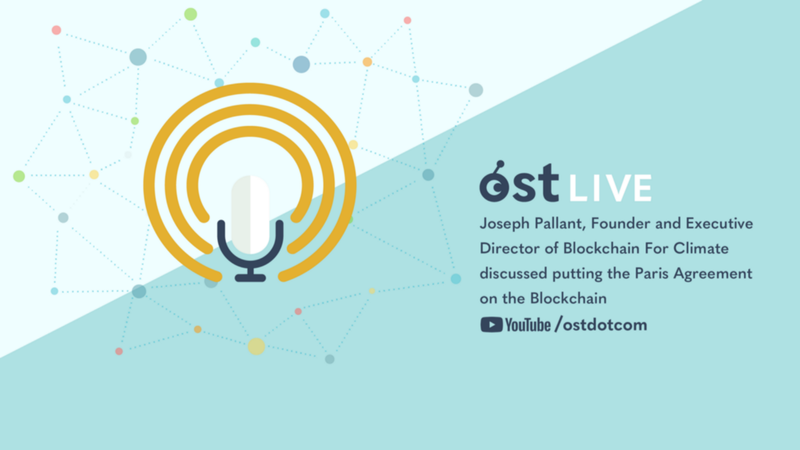 Joseph Pallant, founder and executive director of Blockchain for Climate Foundation and founder of CPS Carbon Project Solutions Inc., a pioneering offset-development firm, joined us on OST LIVE. He has been active in the carbon market since 2004, providing project-development expertise and strategic direction across private, public, and NGO endeavors. Pallant was also a recipient of Canada’s 2019 Clean50 award. The Blockchain for Climate Foundation is working on solving complex climate challenges utilizing blockchain technology. The foundation hopes to operationalize article 6.2 and 6.4 of the Paris Agreement to create a tool to connect the national carbon accounts of all of the countries of the world and to enable collaboration on investment in emission reductions across borders. The Paris Agreement is an agreement within the United Nations Framework Convention on Climate Change (UNFCCC) to work together to reduce global greenhouse-gas emissions. Worldwide, 195 countries have pledged to fight climate change together. The UNFCCC “rule book” is the product of a consensus among those 195 countries. Every country puts out a national carbon account every year. Starting in 2020, each country will fight climate change within its own framework with benchmarks in 2030 and 2050. Paris Agreement article 6.2 mentions the national achievement of emission reductions and nationally determined contributions. If countries are overachieving on their targets, they may be able to sell some of those emission-reduction outcomes to other countries, creating an international carbon market. This incentivizes national regulation and investment on reducing emissions. Countries would be able to utilize the investment dollars from outside to achieve these outcomes internally, which also promotes social and environmental benefits.